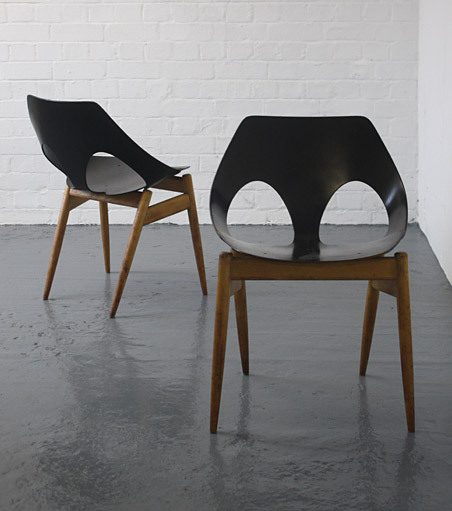 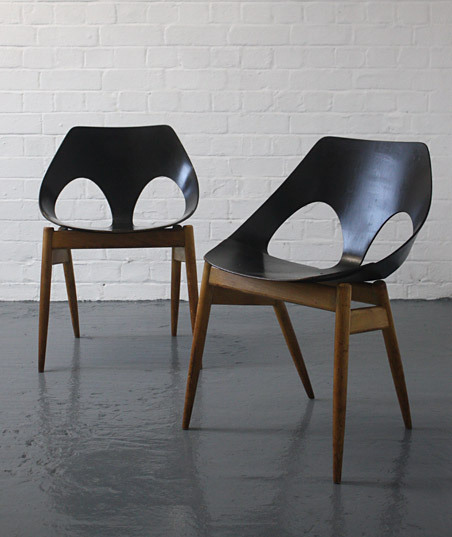 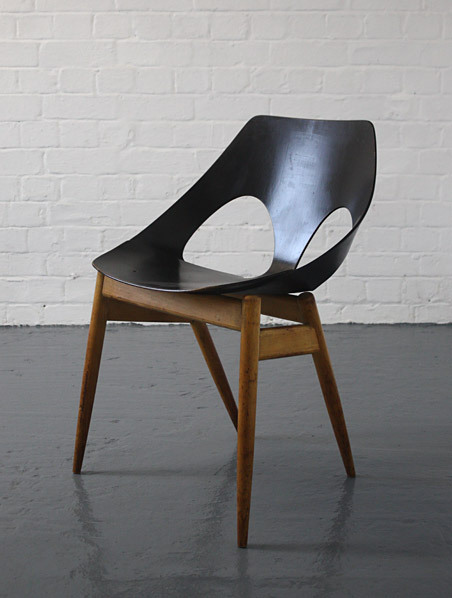 A pair of model C2 Jason chairs designed by Carl Jacobs in 1950 for Kandya. 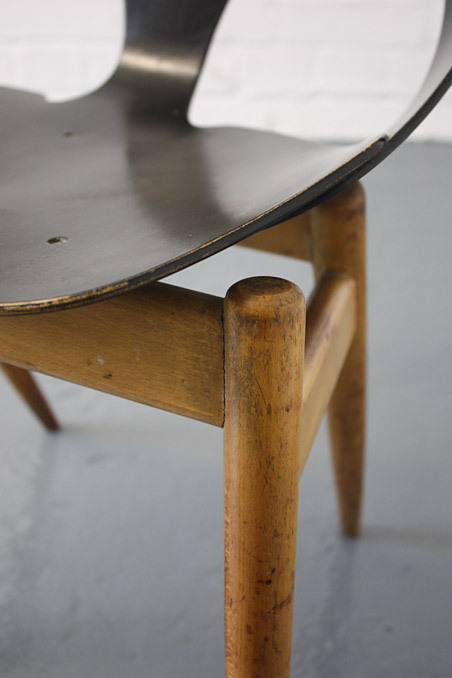 Beech laminate seats on beech frames, Kandya labels on the underside of the frames. 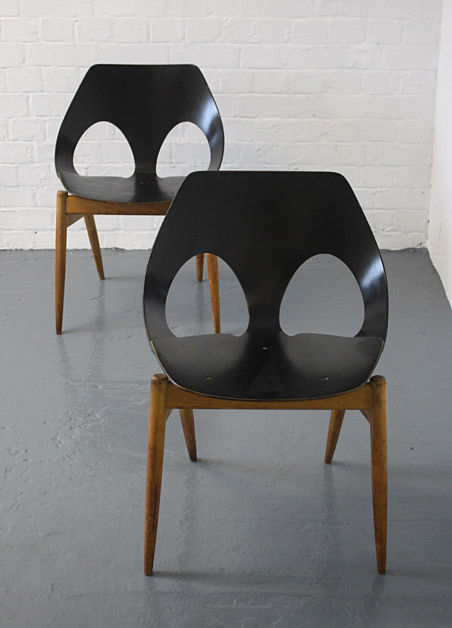 In very good condition with original black painted seats and nice patina to the legs. 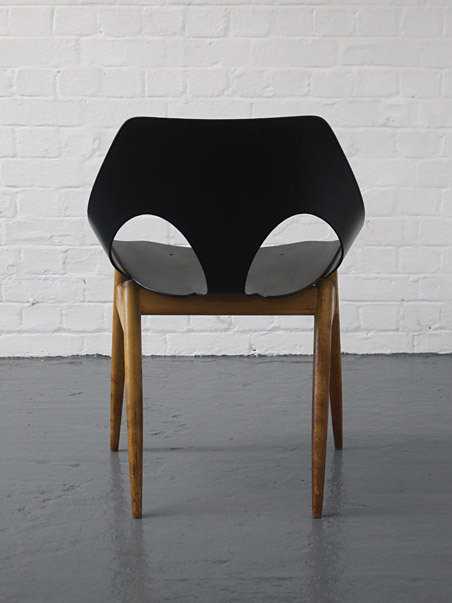 There is a little flex in the backrests but still very sturdy.